After hours and hours of travel, I finally arrive in Salento, a small, charming town in Colombia's coffee region, whose higher elevation and cooler temperatures are a relief after having just trekked through a mosquito infested jungle for days. 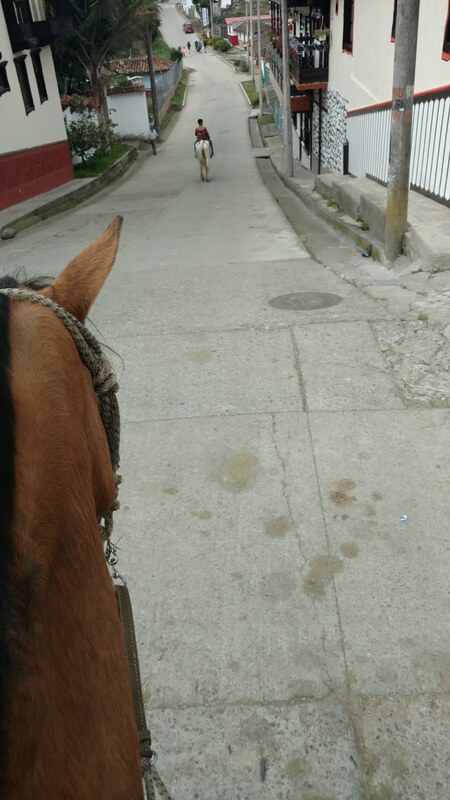 My host arranges a horse for me, and minutes after dropping off my bag, I'm trailing a ten year old cabellero guide on my way to the Don Elias coffee plantation. I believe there must be a provable scientific correlation between living in such a breathtaking area and overall human happiness. The beauty activates a tranquility, a calmness within, slowing all thought; there is far less room for anger to exist. Arriving at the coffee plantation, I dismount my horse, and wait for my tour to begin. There to provide woderful entertainment, a small, cute dog starts to literally do flips in the air, then somersaults on the floor, barking joyfully. I film the tail of end of his excitement, momentarily mystified as to the cause. Then his master walks around the corner. The pup knew he was coming long before he was visible. It was a display so warm, so loving, it exemplifies the reason we love dogs. 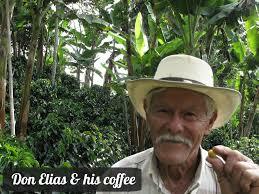 His master is in fact Don Elias himself, the owner of the small plantation. His face is worn, but incredibly kind. There's no doubt in my mind he's lead a good life, and although he relates his history of having worked on fincas (farms) since he was young, he seems to have the air of a fulfilled and happy person. Possibly it's transference from the energy of his pup, but I instantly like the guy immensely. His son begins the tour of the beautiful area, and the information conveyed is positively fascinating. 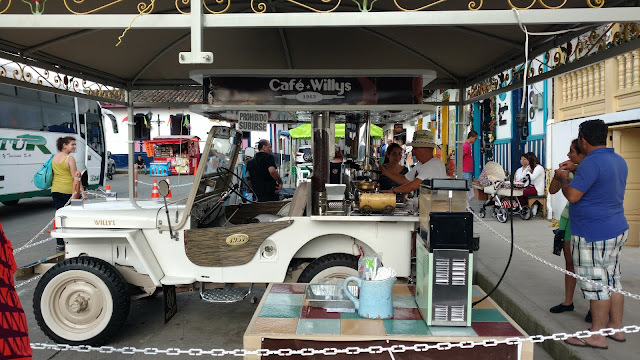 Now, bear in mind that this is an organic coffee farm, so what I write below are the tricks to increase production by organic, fair trade, and rainforest action approved manners. Coffee plants do best in moderate climates, with conditions ideal in mountainous regions between 4,000 and 6,000 feet where cooler temperatures prolong bean development. This longer maturation process imbues the coffee bean with more complex sugars, yielding deeper, and more interesting flavors. Our guide points out an avocado tree, telling us the fruits are not harvested for food or sale. "The tree is large, providing protective shade for the coffee plants," he explains, "but the flip side is that as an old tree, the fruit is not as high quality, not that tasty, thus we let the avocado fall to the ground and provide nutrients for the soil and the coffee." "Now, the orange tree over there also provides shade and nutrients, though we do some of the fruit. But its other function as a citrus tree, is to absorb acids from the ground, decreasing the acidity of the coffee bean." I'm amazed at what I'm learning, and listen with rapt attention. Two types of coffee are grown here- Arabic and Colombian. The Arabic version of the bean has a slightly stronger flavor, and the only way to tell the plants apart physically is that when the beans are ripe the Colombian version is yellow while the Arabic is red. Though the beans are normally harvested in December, due to a severe lack of rain this year, they will be harvesting the beans in January/February. A large, open wooden box holds a compost pile, to be used as organic fertilizer, raising coffee yields by 10%. Interestingly, nitrogen and chemical based fertilizers increase yields by 60-70%. The trade-off with the man made soil conditioners are that the quality of the beans decrease drastically. 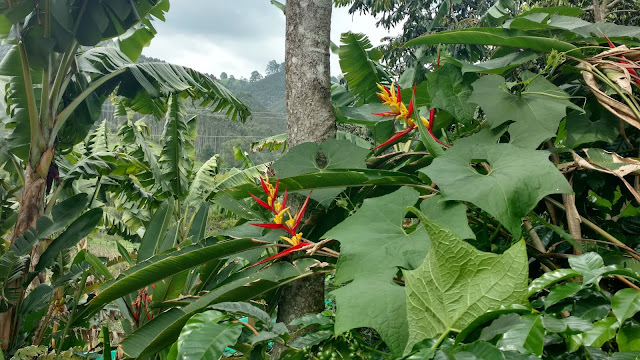 Nearby is a pineapple plant, whose delicious fruit is prominently on display, it's purpose is to attract bugs and other pests to its strong smell who would otherwise attack and harm the coffee plants. Then there is the yucca plant, from the potato family, whose roots help prevent erosion. Then the banana tree, which holds so much water inside of it, during times of drought, the tree will naturally release its store into the ground, irrigating the soil, helping to keep a steady flow of water to coffee plants. 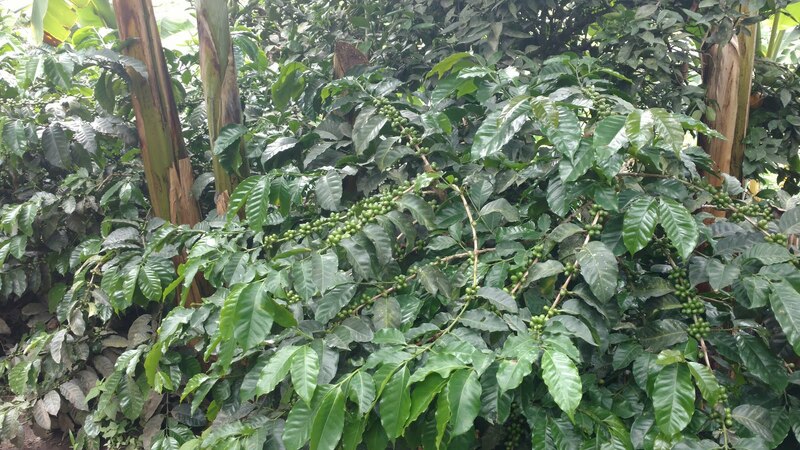 Coffee trees start producing beans at the age of two, and will do so for twenty years, at which point the quality decreases, until production ceases several years later. Despite the ability to live to 100, trees are uprooted and replaced before quality drops. When the beans are ripe, they are picked and placed in a simple machine which separates the skin from the bean. The seeds are dried for a night and then tested by dropping them into a vat of water; those that float are of lower quality and on the Don Elias farm, join the pulp and skin in the compost heap, while other, less discerning farms sell the beans cheaply to large coffee serving corporations like Starbucks, Tim Hortons, McDonalds, etc. The high quality beans are then allowed to dry for 8-25 days. Once ready, they are placed in a pot and heated over a wooden stove. For one hour someone holds the large pan, stirring the beans, often lifting it off the flame to prevent the beans from being burned. After an hour, the beans are done, collected and ready to be used or sold. It takes between 6-8 hours of human labor per kilogram produced on an organic farm and despite being the world's Best Quality, the finished product only sells for $20 a kilo or so. It's a competitive and harsh business, but being on this beautiful plantation, with my gracious host, and an excitable and joyful puppy, I find myself buying many bags of the product straight from Don Elias himself, gladly paying a premium with a greater understanding of what goes into production of a truly premium product. Most of us are caught up in this new Cafe Culture, it's sociable, it's accessible (it's hard on your waistline ) Let's face it if you're new to coffee then it's confusing. A cheap way to ease yourself into coffee is to buy a Cafeteire (glass & metal thing with a plunger - Google it) read the info below then go shopping. Coffee Magazine What makes a coffee shop, a good one? Here are four things I think greatly impact the quality of a coffee shop.